Foreign corporate prosecutions can involve headline-grabbing multimillion dollar fines, international corporate scandals, and even diplomatic intrigue. Over the past two decades, federal prosecutors have focused their attention on international antitrust cartels, bribery of foreign governments, ocean dumping, and other crimes that involve corporate conduct abroad. Gathering evidence overseas is so difficult that U.S. law extends the FCPA's five-year statute of limitations by up to three more years. No corporations and just a few individuals have fought Foreign Corrupt Practices Act charges in court, so only a handful of people have ever seen an FCPA defense up close. But for the first time, we have a chance to follow not one but three pending prosecutions -- in U.S.v. Kozeny (defendant Frederic Bourke, Jr., owner of the luxury handbag brand Dooney & Bourke), U.S. v. Green (husband-and-wife movie producers Gerald and Patricia), and U.S. v. Jefferson (former Rep. William J. Jefferson). Because alleged FCPA violations usually involve some overseas behavior, prosecution and defense evidence has to be retrieved from beyond U.S. borders. There's no way to compel production from a foreign entity or individual outside the United States. So prosecutors usually work directly with foreign law enforcement agencies to exchange information on a voluntary basis; defendants don't have that option. Their route to foreign evidence is through letters rogatory. In United States usage, according to 22 CFR 92.54, "letters rogatory have been commonly utilized only for the purpose of obtaining [overseas] evidence. Requests rest entirely upon the comity of courts toward each other, and customarily embody a promise of reciprocity." Mr. Bourke says for his defense he needs stock ownership and transfer records about a Liechtenstein corporation. In his case docket, item 135 is an order directing issuance of a letter rogatory. Attached to the order is the letter rogatory itself, formally called a "Request for International Judicial Assistance (Letter Rogatory) to the appropriate judicial authority of the Principality of Liechtenstein." Again, a letter rogatory can't compel a foreign individual or entity outside the U.S. to produce evidence; it's only a polite request to a foreign court on behalf of one of the parties, in this case Mr. Bourke. We imagine the normally secretive authorities in Liechtenstein won't be anxious to release corporate ownership information. What happens if Mr. Bourke never sees the company records he's after? Can he describe the "missing" evidence to the jury? Can he argue that his right to a fair trial is somehow violated? We'll keep watching. For practical advice about how to prepare, obtain and use letters rogatory, the State Department runs an excellent resource site here. Download the trial court's docket (as reported by Pacer) in U.S. v. Kozeny et al here. Download the Order Directing Issuance of Letter Rogatory on behalf of Frederic Bourke, Jr., with a copy of the letter rogatory attached (entered October 17, 2008) here. 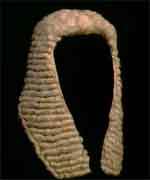 How prevalent is judicial corruption? Our primary source this week, Transparency International, took a close look. During 2006 it asked almost 60,000 people in 62 countries whether they or any member of their household had interacted with their country's judicial system in the past year and, if so, had they paid a bribe. Here's what TI found: "Of the 8,263 people who had been in contact with the judicial system recently, 991, more than one in 10, had paid a bribe. In Africa and Latin America, about one in five of people who had interacted with the judicial system had paid a bribe. In Bolivia, Cameroon, Gabon, India, Mexico, Morocco, Pakistan and Paraguay the figure was more than one in three court users." The numbers break down this way: In Africa and Latin America, 20% of the people had contact with the judicial system during the past year. Of those, 21% and 18% respectively paid a bribe. In newly independent states (Moldova, Russia and Ukraine), 8% of the people had recent contact with the courts, and 15% of that number paid bribes. In southeast Europe (Albania, Bulgaria, Croatia, Kosovo, Macedonia, Romania, Serbia and Turkey), 9% had contact with the courts and of those 9% paid bribes. In Asia Pacific, only 5% went to court, and of those 15% paid bribes. In the EU and North America, 19% and 23% respectively had contact with their judicial systems during the past year, and of those 1% and 2% respectively paid bribes. Perceptions Matter. We've asked before if some companies approach certain places expecting to find a corrupt environment. And once there -- no matter what they find -- do they lower their compliance standards instead of raising them? We think the answer is yes. And that's why perceptions about public bribery can be as important as actual occurrences. TI's findings illustrate the point. It says the "public often views its judiciary as more corrupt than it actually is: more people around the world described their judiciary as ‘extremely corrupt’ than have personally been part of judi­cial corruption. . . . In 55 out of the 62 countries polled, a higher percentage of people perceived extreme judicial corruption than had paid a bribe. In 33 of the 62 countries polled, a majority of respondents described the judiciary/ legal system of their country as corrupt." TI continues, "A majority of people in all but one African country polled (South Africa) and one Latin American country (Colombia) perceive the legal system/judiciary to be corrupt. Trailing the table are Bolivia, Cameroon, Mexico, Paraguay and Peru, where 80 per cent or more of respondents described the judicial system as corrupt. . . . The judiciaries of India and Pakistan fare badly, with 77 per cent and 55 per cent of respondents in the two countries, respectively, describing the judicial system as corrupt. . . . In all former communist countries, 45 per cent or more of the people polled described the legal-judicial system as corrupt." What about U.S. Foreign Corrupt Practices Act compliance? Judicial corruption is a real problem. An effective compliance program will recognize it, discuss the compliance challenge openly, and draw clear lines to prohibit the practice anywhere. Compliance education and training should stress that even in the countries ranking worst for judicial bribery -- where nearly everyone thinks the courts are crooked -- only a minority of cases are actually influenced by corrupt practices. That means the people representing foreign firms should not mistakenly assume that bribery is the only way to deal with local litigation. And beware of "legal" advice. We've heard too many lawyers from high-risk countries advise foreign business clients that bribes to local judges are expected and required. Why would they say that? Maybe to impress clients with their stroke in the local courts. And maybe to get their hands on some black-bag money for which they won't be accountable. In every case, however, advice to pay bribes is wrong and shouldn't deter compliance. As we've said before, all foreign judges, court clerks and others associated with a country's judicial system are "foreign officials" for the FCPA. Bribing them will probably violate U.S. law and will certainly violate the local law. And that, at the very least, will leave an effective compliance program in ruins. View Transparency International's 2007 Global Judicial Corruption Report here. We noted yesterday some of the causes of judicial corruption -- underpaid and overworked judges, complex and slow court procedures, and anti-corruption enforcement monopolized by a single agency. Unfortunately, all those symptoms show up in Azerbaijan's judicial system. A Living Wage? Judges' salaries are low even after a big recent pay raise. According to Transparency International's 2007 country report, local judges make the annual equivalent of $11,635 -- compared to $23,800 in Estonia. As for their workload, there are only about 4 judges per 100,000 people. That's the lowest number in the region. Germany, by the way, has more than five times as many judges per capita. No Show, No Problem. Predictably, court litigation is extremely time-consuming. "This is especially ruinous for private companies," TI said, "which usually prefer to drop a case or 'negotiate' with the judge. Parties in litigation have many opportunities to drag out a case because the legis­lation prevents a court from proceeding to a deci­sion if the other party does not appear in court. There is no punishment for the defaulting party. On average about 5 per cent of businesses use courts in Azerbaijan, compared with 30 per cent in Europe and Central Asia." Going Once, Going Twice . . . Judges -- who owe their positions to the executive branch, as does the general prosecutor -- can decide whether or not to hear a case without giving any explan­ation. And in rendering judgments, they aren't bound by precedent or statutory law. Fuad Mustafayev, deputy chairman of the opposition Popular Front Party, told TI that judges in Azerbaijan decide cases in two ways: for political reasons or, in a judi­cial equivalent to the construction "tender," they rule in favor of the highest bidder. Lawyers complain that they've been turned into "brokers" rather than legal advocates. The Ministry of Justice evaluates judges’ performances annually. "None has been fired for corrupt practices, however, though such cases are numerous . . . ," TI said. Enforce This. Bailiffs aren't part of the judicial system, but fall under the executive branch. TI said they "lack the power, skills, resources and initiative to enforce decisions. . . . Failure to enforce court decisions further undermines trust in the justice system." Recognizing Risk. Since its independence from the Soviet Union in 1991, oil-rich Azerbaijan has been popular with foreign investors. They've committed some $60 billion to long-term oilfield development there. But the country of eight million demonstrates again that where the rule of law is under attack, corruption flourishes. That's why companies trying to maintain an effective FCPA compliance program will want to mark Azerbaijan -- and other countries showing the same symptoms -- with a big red flag. It probably makes no sense to ask which form of public corruption is the worst, since they all destroy the fabric of society. But as lawyers, we think judicial corruption should be singled out. Honest judges, after all, restrain corruption, while crooked judges unleash it on entire countries. When courts are for sale, those with money and power ravage the rights of those whose pockets are empty. Without honest and independent judiciaries, ordinary citizens lose the certainty of their legal, political and economic freedoms. Judges are likely to be corrupt in countries where per capita income is low and economies are closed. Beyond those environmental causes, judicial corruption rises when judges are underpaid and overworked, when court procedures are complex and slow, and when anti-corruption enforcement is monopolized by a single enforcement agency. Those are the findings of one Stefan Voigt from the Department of Economics and Management at Philipps University in Marburg, Germany, as published by Transparency International. India, according to TI's 2007 global report on judicial corruption, is one of the countries that illustrates some of Prof Voigt's hypotheses. In India, "[t]he estimated amount paid in bribes [for judicial corruption] in a 12-month period is around R2,630 crores (around US $580 million). . . . The primary causes of corruption are delays in the disposal of cases, shortage of judges and complex procedures, all of which are exacerbated by a preponderance of new laws. As of February 2006, 33,635 cases were pending in the Supreme Court with 26 judges; 3,341,040 cases in the high courts with 670 judges; and 25,306,458 cases in the 13,204 subordinate courts. This vast backlog leads to long adjournments and prompts people to pay to speed up the process. In 1999, it was estimated: ‘At the current rate of disposal it would take another 350 years for dis­posal of the pending cases even if no other cases were added.’ The ratio of judges is abysmally low at 12–13 per one million persons, compared to 107 in the United States, 75 in Canada and 51 in the United Kingdom. . . . This prompts people to pay ‘speed money’. . . . People seek shortcuts through bribery, favours, hospi­tality or gifts, leading to further unlawful behav­iour." In any country, most citizens are powerless in the face of judicial corruption. Foreign investors, too, may feel threatened and victimized, and tempted to join the corrupt practices. But judges, court clerks and others in the judicial system are "foreign officials" under the U.S. Foreign Corrupt Practices Act. Bribing them can violate U.S. law and certainly violates local law. That means there are plenty of reasons to raise compliance standards in places where judicial corruption is prevalent. A typical reader of this blog will tell you that he or she is reasonably prudent when it comes to complying with the Foreign Corrupt Practices Act. But we're all downright reckless compared with the sweet lady who stars in the most recent FCPA Opinion Procedure Release. She needed to pay $9,000 to a foreign court as advance fees for the administration of an overseas estate. Although there's never been an FCPA enforcement action based on such a payment (and never will be), our Requestor somehow got spooked by the law. So before paying a dime to the foreign court, she insisted on a green light from none other than the United States Department of Justice. Opinion Procedure Release No. : 07-03 of December 21, 2007 is truly unique, so we'll let it speak for itself. We'll only point out that it combines features never seen together in another FCPA Release. First -- and we couldn't make this up -- there is no payment to a foreign official. Second, there is no intent to obtain or retain business. In fact, the DOJ is forced to imagine some mens rea just to move things along. Third, the payment to the foreign court was entirely legal under the written laws of the subject country, and apparently a routine requirement. In short, we wonder how the Requestor thought to knock on the DOJ's door at all -- unless she has a young relative in law school someplace. We're just guessing, but perhaps our Requestor was scared straight by her somewhat incomplete knowledge about the FCPA. That's understandable -- lots of us have been there before. And maybe she was addled because, as a U.S. permanent resident from Asia, she feared the foreign payment might spoil her one chance to someday gain American citizenship, a goal we unreservedly applaud. Whatever the cause, the DOJ didn't want to disappoint this lovely woman. So look closely below and you'll see evidence that the Department of Justice must have had an emotional moment. We're babbling a bit, but read on and you'll know why. This Release is a charitable (we almost said "heartwarming") act by the DOJ. We've read it a dozen times already, and it always brings a smile. The Department has reviewed the FCPA Opinion Request (the "Request") of a lawful permanent resident of the United States (the "Requestor"). The person is a "domestic concern"within meaning of the FCPA. The Requestor proposes to make a payment required by a family court judge in an Asian country to cover certain litigation-related costs. The Requestor is a party to disputed judicial proceedings in the Asian country relating to the disposition of real and personal property in a deceased relative's estate. One of the Requestor's family members has defacto control over the assets of the estate, a portion of which the Requestor believes she legally owns. The estimated value of the estate is equivalent to roughly $600,000, consisting of approximately 30.4% in foreign securities, 40.6% in bank and postal accounts, and 29.0% in real estate. In connection with the judicial proceedings, the Requestor submitted an application for the court to appoint an estate administrator pending the court"s decision on the disposition of the estate assets. The court then requested an advance payment equivalent to approximately $9,000 to cover expenses related to the court-appointed administrator and other miscellaneous court costs. Due to misgivings about the legality of such a payment under the FCPA, the Requestor withdrew the application for appointment of an administrator. In the coming months, if this Opinion Request results in a favorable response, the Requestor plans to renew such application and comply with the court's payment requirement. The Requestor has asked for a determination of the Department's present enforcement intention under the FCPA. * the Requestor would request that the court refund her any remaining amount of the payment not spent in the proceedings, as the legal opinion states is required under foreign law. In addition, the Requestor has provided copies (and translations) of the relevant provisions of written foreign law and regulation that: (a) authorize a court, in connection with the administration of an estate, to "take necessary measures to preserve the estate;" and (b) govern family law proceedings and grant courts the authority to require parties to make advance payments to cover necessary expenses. The FCPA Opinion procedure enables a domestic concern "to obtain an opinion of the Attorney General as to whether certain specified, prospective - not hypothetical - conduct conforms with the Department's present enforcement policy regarding the antibribery provisions of the Foreign Corrupt Practice Act. "28 C.F.R. § 80.1. The FCPA's antibribery provisions are implicated when a payment is made in order to obtain or retain business for or with, or to direct business to, any person. See 15 U.S.C. § 78dd-2(a). In this instance, in order to provide the Requestor with the guidance she seeks, the Department will assume that the proposed payment could be reasonably understood to relate to the Requestor's efforts "in obtaining or retaining business for or with, or directing business to, any person." Id. Thus, based on this assumption, the transaction sufficiently implicates the FCPA's antibribery provisions and is appropriately the subject of an FCPA Opinion. Based upon all of the facts and circumstances, as represented by the Requestor, the Department does not presently intend to take any enforcement action with respect to the proposal described in this Request for two reasons. First, based on the Requestor's representations and consistent with the FCPA, the payment will be made to a government entity, the court clerk's office, rather than a foreign official. Cf. 15 U.S.C. § 78dd-2(a)(1) (emphasis added) ("It shall be unlawful to make use of the mails or any means or instrumentality of interstate commerce corruptly in furtherance of any offer, payment, promise to pay, or authorization of the payment...to any foreign official..."); 15 U.S.C. § 78dd-2(h)(2)(A) ("The term 'foreign official' means any officer or employee or a foreign government..."). Moreover, there is nothing to suggest that the presiding judge or the estate administrator will personally benefit from the funds after they are paid into the government account belonging to the court clerk's office. Second, consistent with the FCPA's law affirmative defense, the contemplated payment is "lawful under the written laws and regulations" of the foreign country according to an experienced attorney retained by the Requestor in the Asian country. 15 U.S.C. § 78dd-2(c)(1). The FCPA Opinion Letter referred to herein, and this release, have no binding application to any party which did not join in the Request, and can be relied upon by the Requestor only to the extent that the disclosure of facts and circumstances in the Request is accurate and complete and continues to accurately and completely reflect such facts and circumstances. (1) If this Opinion Request results in a favorable response, the Requestor intends to reapply for the appointment of an estate administrator and comply with the court's request for the advance payment. View Opinion Procedure Release No. : 07-03 (December 21, 2007) Here.